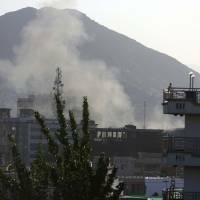 KABUL - Gunmen mounted coordinated attacks in the Afghan capital Kabul on Wednesday, battling security forces for hours in the city’s main commercial area after at least three large explosions sent plumes of smoke and dust into the sky. At least seven people were killed, including two police, and 17 were wounded, health officials said. It was the latest in a string of attacks that have killed and wounded hundreds of people in Kabul since the beginning of the year. As fighting continued late into the afternoon, explosions could be heard periodically from the site, in a busy business area full of shops and offices. 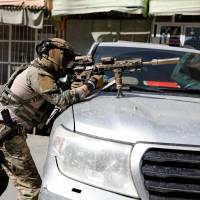 An official from a branch of Afghanistan International Bank reached by telephone said customers were sheltering in the bank premises as gunfire continued in the street outside. “We can hear the gun shots and we are waiting inside the bank’s safe room until the clashes end,” he said. The Taliban’s main spokesman, Zabihullah Mujahid, issued a statement claiming responsibility for the blasts. Shortly before the twin explosions in Shar-e Naw, a suicide bomber blew himself up near a police station in the western Kabul district of Dasht-e Barchi and gunmen followed up, fighting security forces for several hours. Islamic State claimed responsibility for that attack but many officials doubt the group, which has its stronghold in a remote eastern border region of Nangarhar province, has the capacity to mount such complex attacks. A senior Afghan security official said intelligence services believe the Haqqani network, a militant group affiliated to the Taliban that has a long record of urban attacks, was the real organizer of the attack. 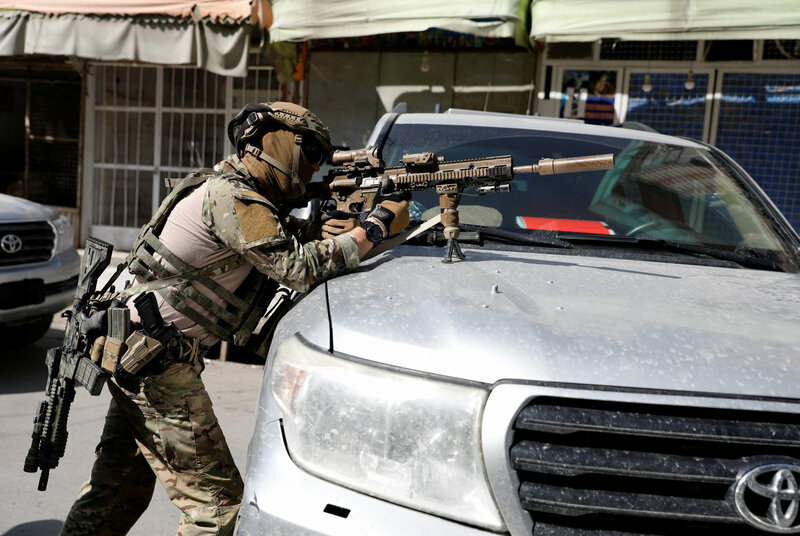 Afghanistan’s Western-backed government is fighting an intensifying war with both the Taliban and the Islamic State that has turned much of Kabul into a high security zone of concrete blast walls and razor wire. But despite repeated government pledges to tighten security, hundreds of people have been killed and wounded in attacks in the city since the beginning of the year and authorities have appeared powerless to stop the bloodshed. 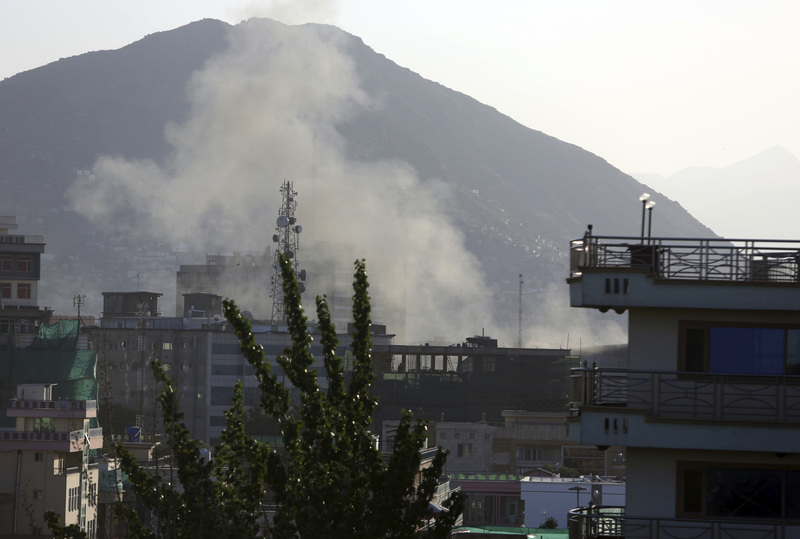 One witness in central Kabul said Wednesday’s attack in the city’s business district started with gunmen shooting police before one entered a building and blew himself up. With preparations for elections now underway across much of the country, more attacks are expected on voter registration centers following a blast in one centre last month in which 60 people lining up for identity cards were killed. 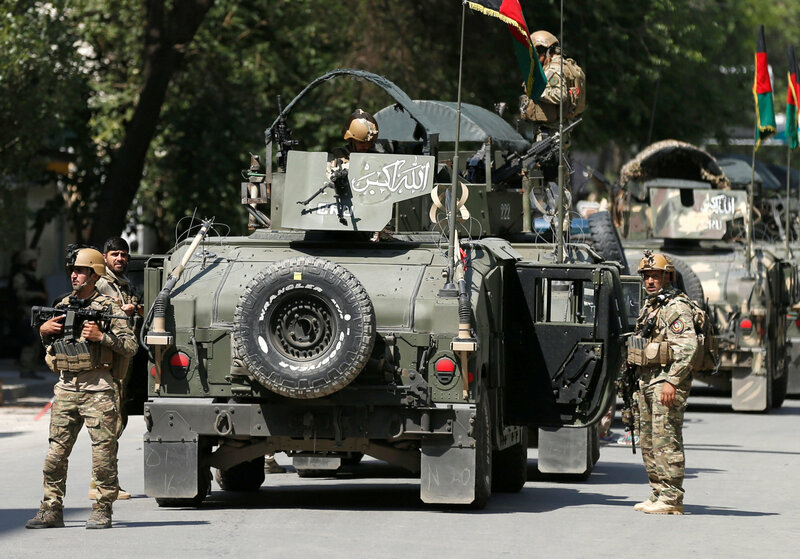 At the same time, fighting has picked up across Afghanistan, following the start of the Taliban’s annual spring offensive on April 25, with the insurgents seizing a district center in the northern province of Baghlan on Tuesday. 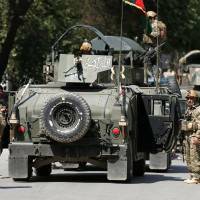 On Wednesday, Interior Minister Wais Ahmad Barmak told reporters that security forces had gunned down two insurgents at one of the two clash sites. A part of the police station was burnt down by the attackers who were throwing hand-grenades. A would-be suicide bomber was also gunned down before he could reach his target.